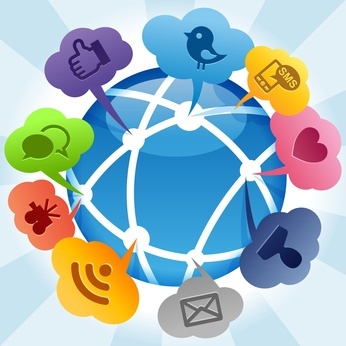 Bowling for Business: When it comes to social media, what qualifies as TMI? Long before anyone realized the potential business applications, I created a Facebook account to reconnect with high school friends. The official label for those of us who signed up before anyone understood the platform is early adopter, which is just another name for what we really were—social media guinea pigs. I FORGOT TO MAKE A DEPOSIT. SO OUR ACCOUNT IS OVERDRAWN BY $1,000! Any regular readers of Bowling for Business know that I am pretty transparent when it comes to sharing details about my personal life. But revealing the balance, or lack thereof, of my checking account to hundreds of business associates is not something I routinely do. That type of disclosure definitely qualifies as TMI (too much information). Several years later, we are all constantly faced with decisions about what to share and what to withhold from our various online contacts, connections, followers and friends. Is Google+ the answer to our prayers or another way to sacrifice our privacy at the altar of electronic transparency? Google+ is in beta testing. We will keep your email address on hand and send updates. In the meantime, friends and colleagues were posting about the fun they were having experimenting with Google+ while Mountain Marketing Group clients forwarded articles about it, asking my opinion. I didn’t have a clue. Desperate, I finally did what I should have done in the first place—I turned to my own social networks. I tweeted my frustration about #GooglePlus, which fed an update to my Facebook and LinkedIn pages. Within minutes, several friends and business associates offered to send me invitations. Google emailed me a personal invite. And some of my Twitter followers sent hyper-linked invitations. In hindsight, it’s all quite simple: If you want to play the game, you have to follow the rules. I wasn’t successful trying to sign up using traditional communication methods because the platform, like social media itself, is all about engaging, interacting and sharing. Google+, a social network operated by Google, Inc., launched on June 28th, 2011 with integrations across a number of Google products, including Buzz and Profiles. 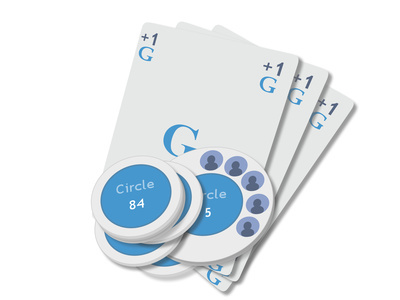 One key element of Google+ is a focus on targeted sharing within subsets of your social group, which are what Google calls Circles. Circles are simply small groups of people that you can share to, each with names like friends, family, classmates and co-workers. Google’s new app allows subscribers to manage connections by corralling them into groups. This is helpful because it will keep users from inadvertently sharing business content with friends and personal posts with associates. The downside is that Google+ uploads anything and everything to users’ streams. The Google+ app instantly uploads photos my camera phone took to my account. I’m not sure if I like that or not—convenience versus automatic upload to the internet? Another downside to Google+ is that, at least for now, you have to create personal profiles instead of business accounts. Also, since Google ranks search engine results based on the account holder’s associated email address relative to online engagement, involvement and interaction, it virtually precludes ad agency ghost-writing and ghost-posting. So, at least for now, I can’t examine the tool through the lens of my usual three categories of marketing for free, on a limited budget and when the sky’s the limit. For the time being, Google+ won’t do you any good unless you’re willing to do the work yourself. If you want to tinker around with the tool, email me Kathy@MountainMarketingGroup.net, and I will gladly send you an invitation. And don’t worry—I won’t post your request on my wall. As an only child, I was a little late to the sharing party. Playing at home, there was no need to go halves or wait my turn. So when my classmate, Charlotte, grabbed the Colorforms from me during playtime, I smacked her in the face. Confronted about my selfishness by a kind and gentle preschool teacher, I quickly recognized the error of my ways and apologized to my shell-shocked peer. When it comes to social media, sharing is caring. As an adult and marketing professional, I now make sharing an important part of everyday life. And if you are an entrepreneur or nonprofit director, I recommend you do the same…in the real world as well as online. More than just posting your own opinions, promotions and experiences for everyone in your network to read and admire, sharing should always engage, enlighten and entertain. Online and in the real world, you should listen as much as you talk—carefully considering the receiver before sharing any message. This is especially important since Google has recently re-calibrated algorithms to weigh interaction in addition to quantity of raw content to rank search results. Although the X-Robots that crawl across programming code can’t subjectively evaluate content, they now calculate the value of posts and associated authors based on how people respond to them. Do people “like” your Facebook status updates? Are connections asking for your input on LinkedIn? Does anyone retweet your Twitter posts? Is anyone commenting on your blog? If your online content falls on deaf ears, are you posting anything at all? The new gold standard in social media is engagement. That’s why you see so many share-widgets displayed near videos you watch, songs you listen to and articles you read. But when should you click on them to share with your own network and which sharing icons and hyperlinks should you include on your own website and blog platform? Forward only what you consider valuable. If you can’t find time to read an article, don’t assume your friends and colleagues are less busy than you. Also, resist the urge to forward cat videos unless you own a pet store. Pikimal and Google+ Circles will make it easy to cherry-pick recipients, since they will enable you to share with friends while sparing business associates. But both are currently in beta-testing. So unless you’ve been invited to take a trial run, your posts will go to your entire network. And over-posting could land your email address in spam folders.